What is the most rewarding part of this job? The most rewarding thing about this job is seeing the students get it. The lightbulb goes off in their heads and you can see that they are actually enjoying the topics you’re teaching them. Agriscience teachers get the opportunity to make learning fun and inspire the next generation to be passionate about agriculture. Background Information: Agriscience programs are designed to inspire youth to pursue agricultural careers by teaching students about the many different aspects of agriculture including large and small animals, leadership, wildlife, horticulture and aquaculture. Agriscience teachers frequently serve as the school’s FFA advisor. This means they lead the FFA chapter and encourage FFA members to be involved in agriculture programs. Experience/Education Needed: For this career you need a teaching certification and a bachelor’s degree in agriculture education. The education classes and student teaching credits you will take while in college will prepare you for teaching. The agricultural education field is always changing, so it is beneficial to continue taking classes related to teaching agriculture all throughout your career. Average Salary Range: The average salary range is from $36,000 to about $65,000 depending on how long you have been teaching and the level of education you have completed. 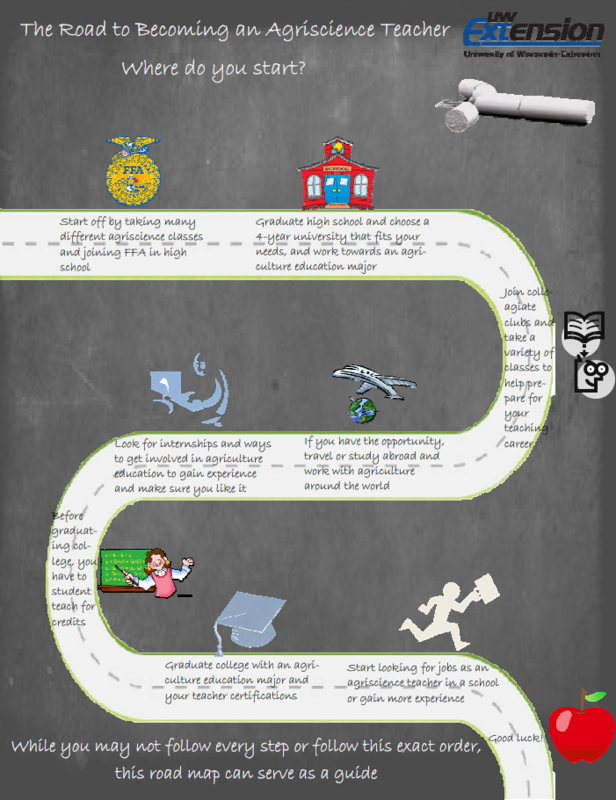 Career Roadmap: These are the steps one might take to get to this career. Start by taking a lot of agriscience classes and join FFA in high school. This will help you figure out what agriculture is like and what parts of it are your favorites. After that, choose a college or university that fits your needs. In Wisconsin, there are only a few schools that offer the agricultural education major. While in college, it may be beneficial to travel or study abroad in agriculture. This will help you to see how agriculture is viewed in other parts of the world. You will have to student teach before graduating college to gain experience before heading out and looking for a job. Please take a few moments to fill out this online form. 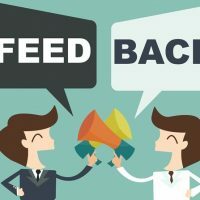 Your comments will be used to evaluate and improve this website. Click on the picture above to get to the form.